Have you ever imagined yourself without arms? What kind of a person would you be? Before you make another complaint about your life, read about this brave story of Zhariff Afandi first. 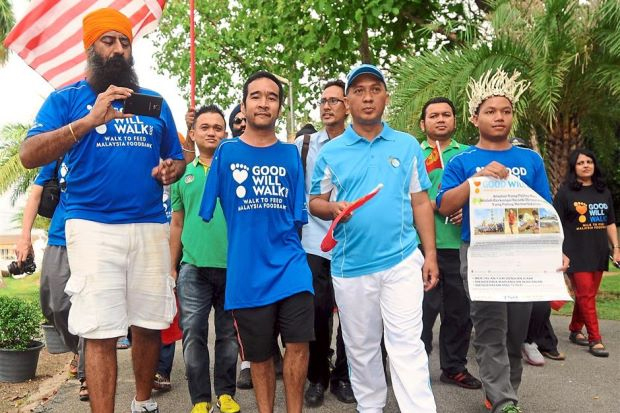 35-year-old Muhammad Zhariff Afandi from Selangor was born without both his arms and has been leading a normal life, from the start of his life. His list of great achievements include participating in various extreme sports that include a 85km trail-running challenge and finishing a 6.5km swimathon three times, starting up his own social venture company, The Zhariff Initiative, and opening Malaysia’s first departmental store with the focus on local and regional brands, LOKA Malaysia. 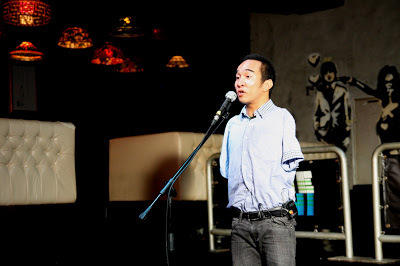 “Being someone with no arms though, at first my application to the school was rejected. It was pretty much a normal school, with normal kids, and the headmaster felt that the school might not able to cater with the perceived facilities for someone like myself. 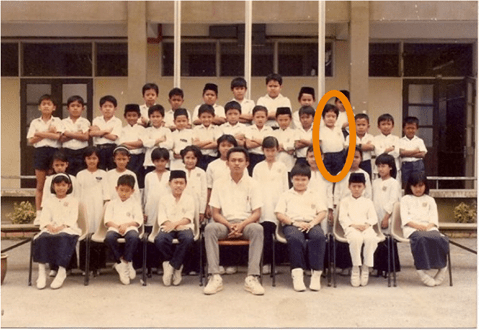 He felt perhaps I would be more suited to some special school, with the necessary facilities for someone like me,” Zhariff shared in a Facebook post. “I kind of remembered that day. As my mum walked out from the principal’s office to break the news, I had that slightly confused feeling like “Huh….what the…?”,” Zhariff recalled. Then the unexpected happened. Zhariff asked his mum if he could have a word with the headmaster. “This six-and-a-half-year-old kid, had something to say about it and wasn’t going to just let this slide,” Zhariff said. Zhariff has always believed that he can achieve anything as long as he puts his mind to it, and what he did as a child — going up to a headmaster to fight for his own right to stay in a school that he wanted to be in — led him to become who he is today.”I’ve had some awesome memories of primary school, and am glad I managed to experience every part of it. Any difficulty was overcome by solutions. My dad made a customised desk for me. We gave the cleaner lady some allowance to assist me in my toilet needs, and just went with it. Everything else created the me today, and till this day I believe in that if you want something, you just got to do something about it. Even if you know you’ve got limitations, you should never let it limit you. Ultimately you should just never f###ing give up. Belief can be a powerful thing,” Zhariff shared. Zhariff’s willpower and tenacity saw him grow up in the most typical Malaysian setting, going through normal routines, without any special aid. 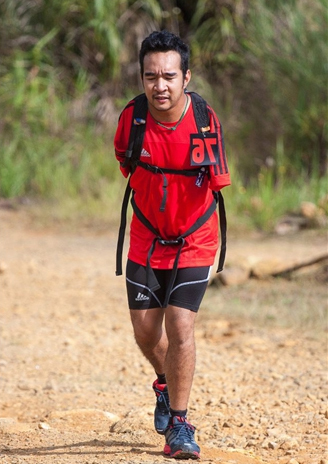 Despite his physical disabiliy, Zhariff has completed a 85km trail-running challenge. 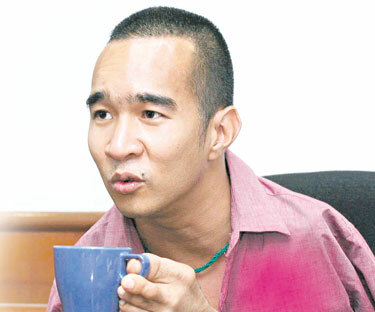 He has received multiple accolades for his involvement in many humanitarian relief and community development programs including the 2011 Perdana Youth Award – Youth of the Year (Outstanding Achievement Award) and the Youth of the Year Award (Social & Community Award) 2006 by the Malaysian Ministry of Youth and Sports. Zhariff (in red) with Yuna (right) at Loka Malaysia. As the CIO of the Gemilang Us­ahawan (Excellent Entrepreneur) division of the Malay Economic Action Council (MTEM), Zhariff has been reaching out to communities and developing youth-oriented commercial industries.Even his brainchild, Loka Malaysia, serves as a platform for local brands such as Pestle and Mortar and Tarik Jeans to reach out to a larger mass market. Zhariff’s self-belief and perseverance have seen him doing great things not just for himself, but also for the community. Zhariff participating in Good Will Walk! – an event aimed to raise 200 tonnes of food and RM3.6 million. Zhariff volunteered in Aceh for eight months in the aftermath of the 2004 Tsunami and was involved many humanitarian activities including relief work for the Kelantan flood victims.He also recently teamed up with social activist Syed Azmi to distribute masks for school kids affected by bauxite mining in Kuantan. Life in the city can be hectic and, at times, overwhelming. But that’s also where life’s greatest stories and lessons come from. Before you start complaining about how your parents treat you or how boring it is to go to school, remind yourself of Zhariff and use his story to inspire your actions. We want to hear more daily stories, from everyday Malaysians – YOU! If you have any stories that you’d like to share, whether it’s yours or from someone you know, send them over to editorial.team@malaysianstudent.com or send us a message on Facebook. You might just see your story featured here! Also, do stay tuned for the next episode of Malaysian City Life!